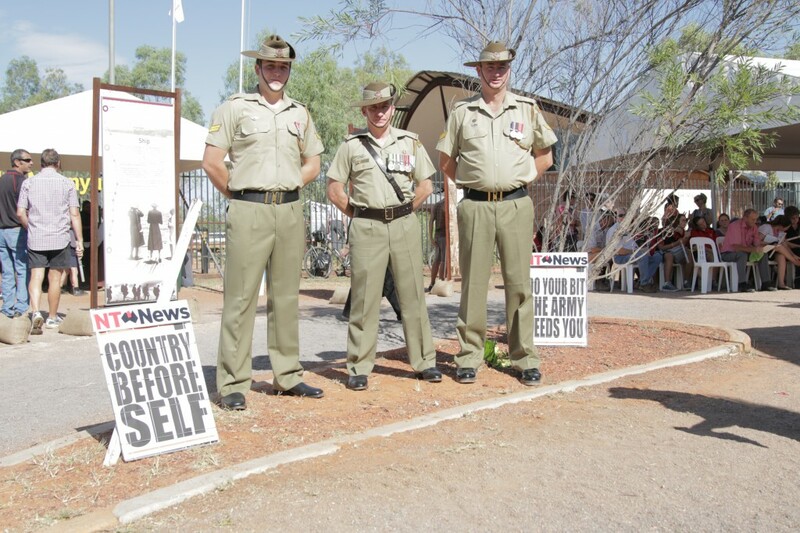 Australian Defence Force personnel at the Tennant Creek ceremony for The Borella Ride. Adults and school children from Tennant Creek dressed in period costume for the ceremony. Albert Borella's Victoria Cross is put on display during the Tennant Creek ceremony by Rowan Borella, with the assistance of Chief Minister Adam Giles, Australian Defence Force personnel and Armaguard. The Borella Ride team members, Tim George and Janette Wilson depart Tennant Creek. Photo by Luke Paterson. 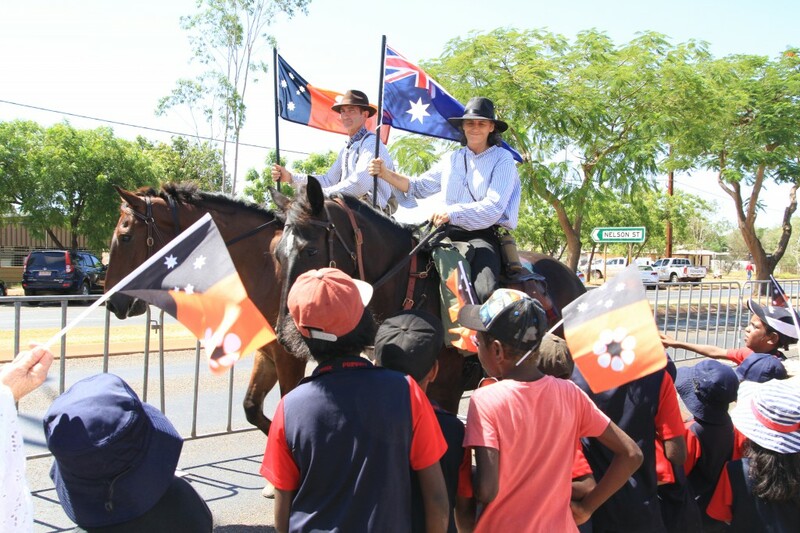 Local Jacqui Lines represents the horse and cart part of Albert Borella's journey to Darwin, accompanied by Charlie Cloos from The Borella Ride team. Photo by Luke Paterson. 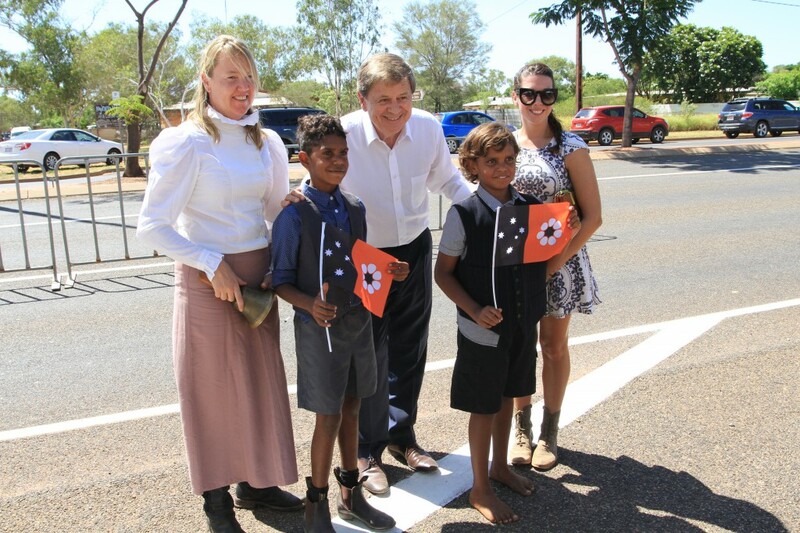 Presenter Ray Martin, who was MC for the ceremony, meets some of the locals from Tennant Creek. Photo by Luke Paterson. 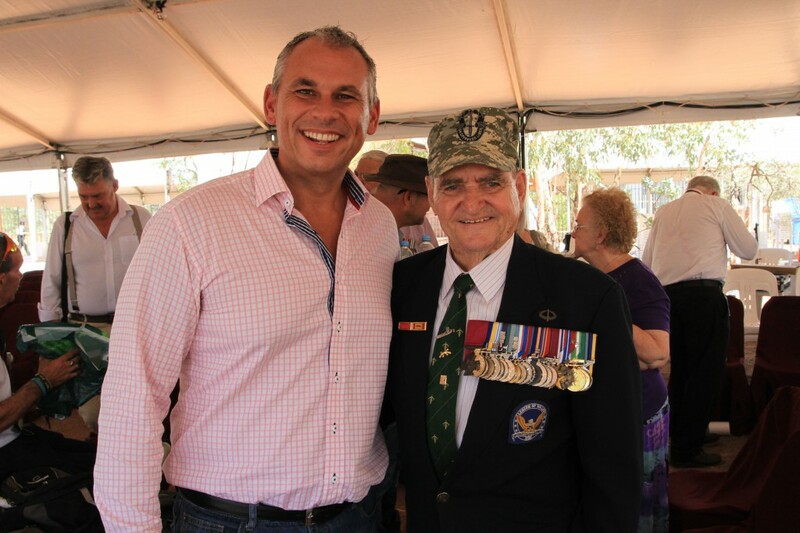 Chief Minister Adam Giles with Keith Payne VC OAM at the Tennant Creek ceremony. Photo by Luke Paterson. Albert Borella VC's son, Rowan Borella, with Keith Payne VC OAM. The Borella Ride begins, representing Albert Borella's journey to Darwin. Leaving Tennant Creek on foot as Borella did was Richard Borella, Charlie Cloos and Tim George. Charlie Cloos and Richard Borella on Day 1 of The Borella Ride. 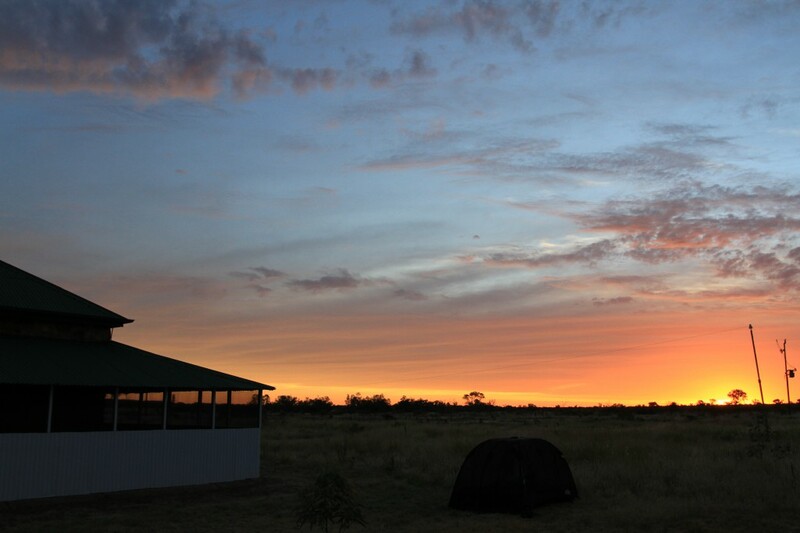 Dawn at the Tennant Creek Telegraph Station on Day 2 of The Borella Ride. Photo by Luke Paterson. 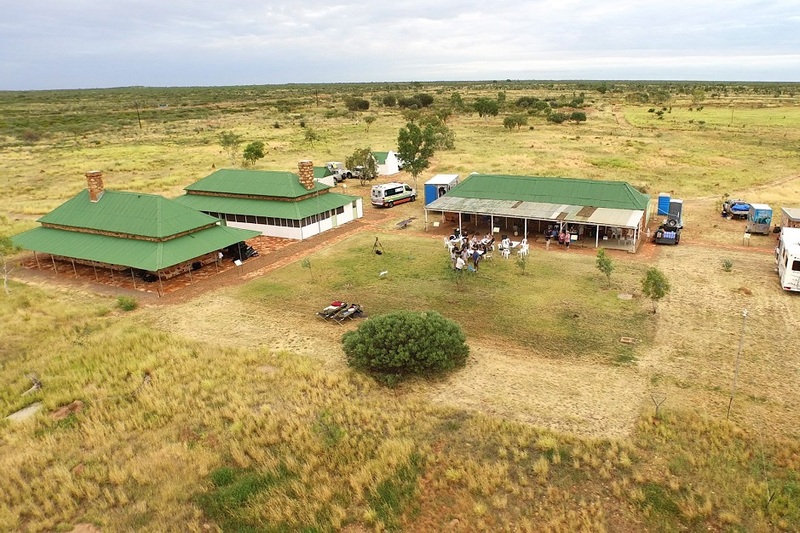 The Borella Ride camp at the Tennant Creek Telegraph Station. 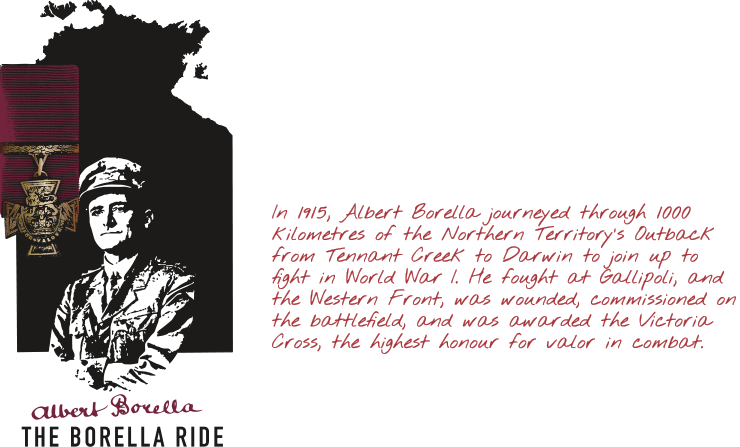 On 20 February 2015, The Borella Ride departed Tennant Creek to begin retracing the 1,000 kilometre journey that Albert Borella VC made 100 years ago to enlist in World War I. In 1915, Albert Borella was working as a cook on a Telegraph Line survey party in the Tennant Creek area when he made the decision to enlist in the Great War. Having no alternative means of transport, Albert Borella left the area on foot beginning a 1,000 kilometre journey to Darwin. Replicating his efforts to enlist, The Borella Ride also began by walking. The night before their departure, The Borella Ride team held a community BBQ in Tennant Creek offering locals the chance to see the Travelling Display, meet the travelling party and learn more about Albert Borella’s remarkable story. 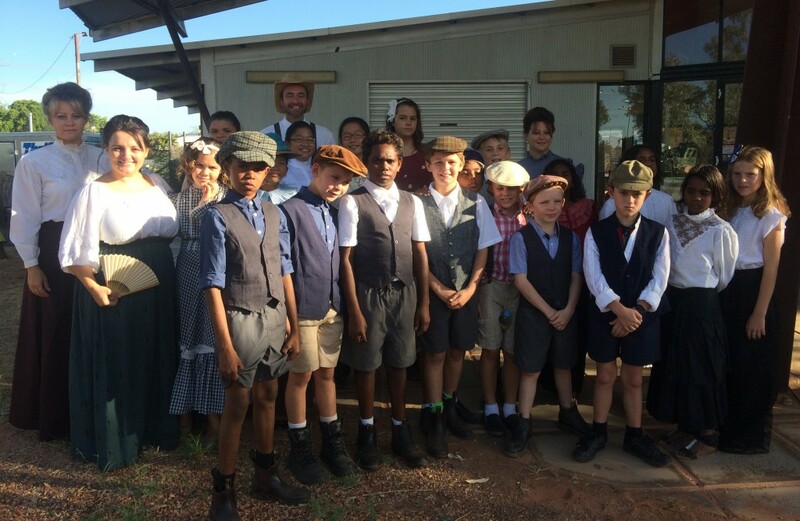 Members of the Tennant Creek community dressed in period outfits to help recreate the atmosphere of the Territory 100 years ago, and paper boys handed out a historical newspaper detailing the life of Albert Borella. The ceremony began with the dramatic arrival of Albert Borella’s Victoria Cross, brought to Tennant Creek by Armaguard and carried into the ceremony by Australian Army personnel. 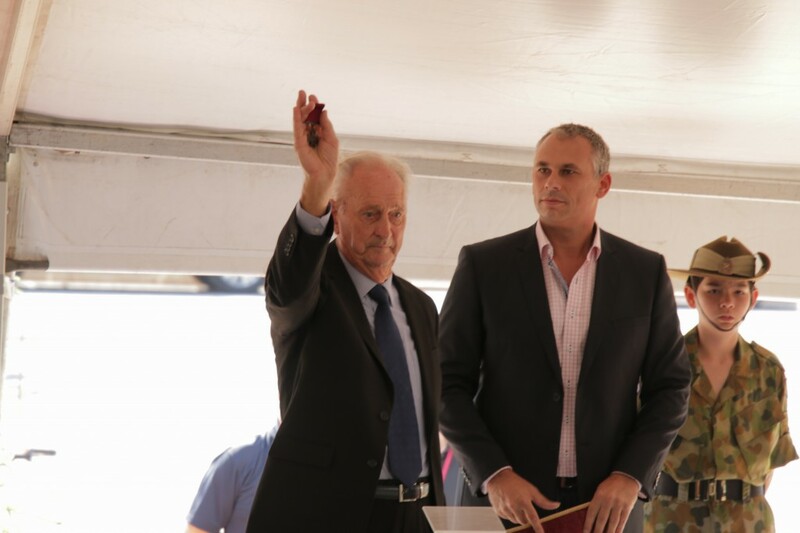 The prestigious medal was received by Chief Minister Adam Giles and placed on display by Rowan Borella, the son of Albert Borella. In an emotional speech, Rowan Borella talked about his father and how overwhelmed he would be by the fuss currently being made of him. Albert Borella was known by his family as a modest, quiet and calm man. 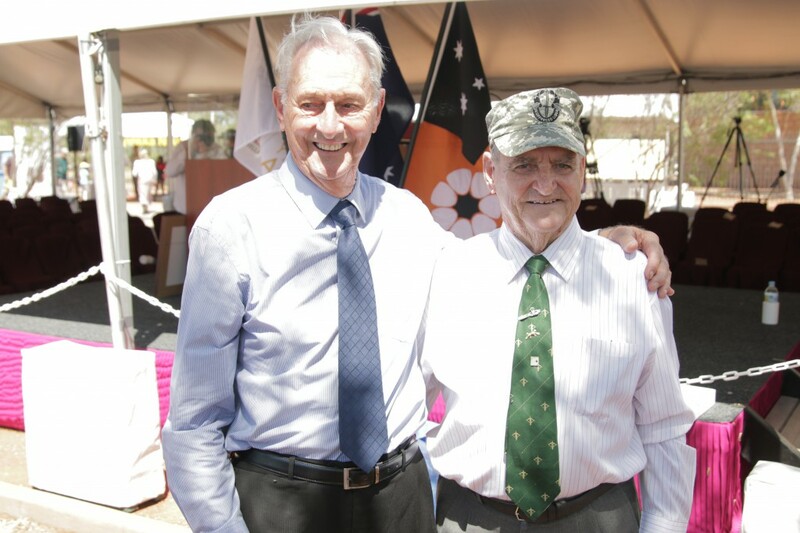 It was a rare moment for Tennant Creek, with two of Australia’s 100 Victoria Crosses on display, one proudly worn by Keith Payne VC OAM. Mr Payne was awarded the Victoria Cross for valour in combat during the Vietnam War. He spoke to the gathered crowd, including hundreds of local school children, about the character of the Victoria Cross and how tremendous journey’s often begin with a simple decision. Chief Minister Adam Giles presented Barkly Regional Council President Barbara Shaw with a plaque to commemorate the occasion and ensure the legacy of Albert Borella remains. The Tennant Creek RSL was also presented with a framed board containing Albert Borella’s replica medals. Following the formal proceedings, renown poet Rupert McCall OAM presented his latest stirring work “The Ballad of Borella" written especially for the occasion and then it was time for The Borella Ride to depart. Lead by Light Horseman, Luke Nolan and the Alice Springs Town Band, the team made their way out of Tennant Creek. 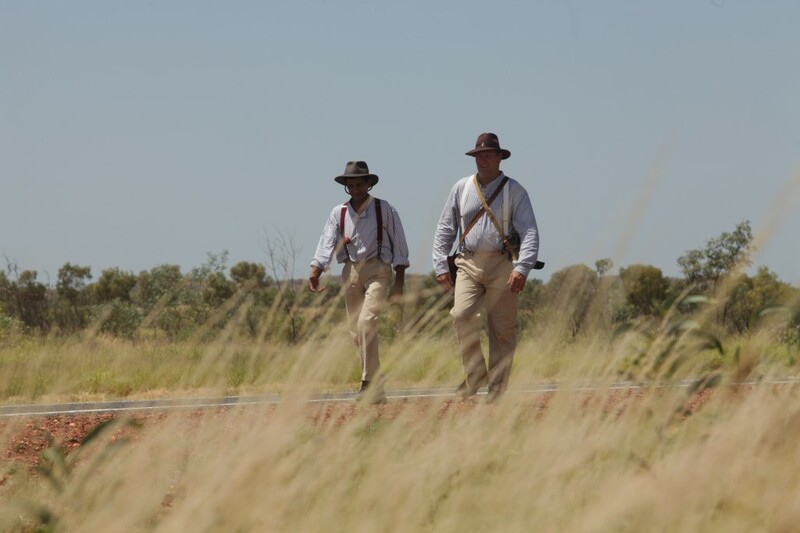 Richard Borella, the grandson of Albert Borella, walked on foot and was joined by local Jerry Kelly who represented the Aboriginal man, Charlie, who was said to have accompanied Albert Borella at some stage during his travels through the Territory. Behind them rode Tim George and Janette Wilson on two of the Waler horses that would be joining The Borella Ride to represent the horseback leg of Albert Borella’s journey to Darwin. 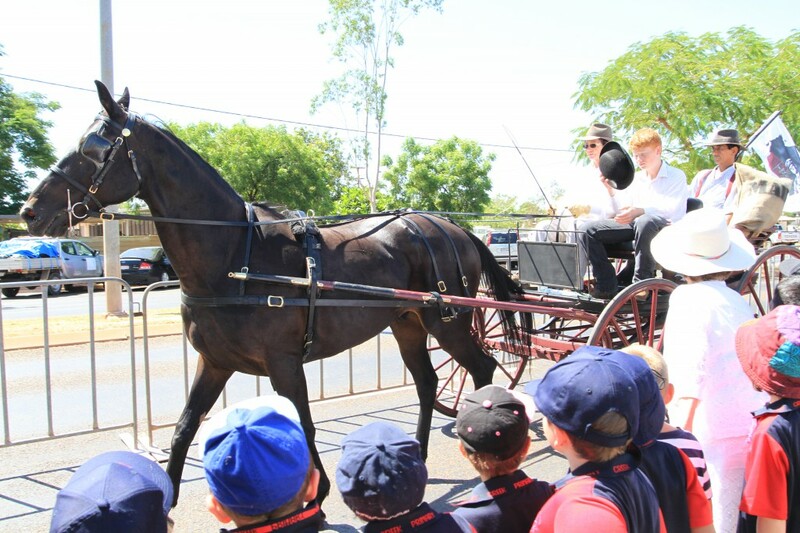 And finally, local horsewoman Jacqui Lines and her grandson drove a horse and cart carrying Charlie Cloos, representing the mail cart that Albert Borella travelled on between Katherine and Pine Creek. 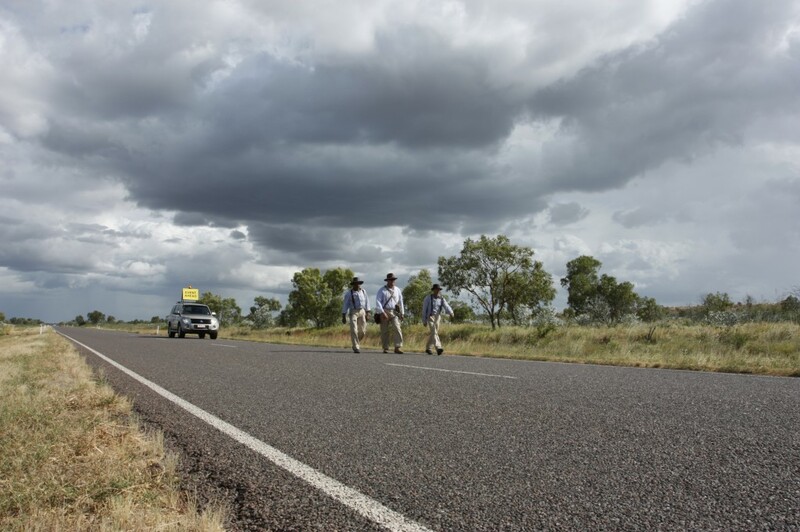 The procession stopped just out of Tennant Creek, where Richard Borella and his two companions Tim George and Charlie Cloos continued the journey on foot to the Tennant Creek Telegraph Station. Built in 1872 The Telegraph Station would have been visited by Albert Borella so it was an important stop for The Borella Ride. The team set up their camp beds and swags and experienced their first night under the stars in the breathtaking setting. Before dawn the next morning, the team prepared to move on, with another day of walking for Richard, Tim and Charlie as they made their way to Banka Banka.